Inflatable Boat Tools There are 9 products. 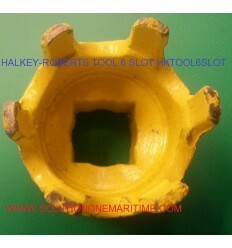 HALKEY-ROBERTS TOOL 8 SLOT HKTOOL8SLOT This toll is used to remove the 8 slot Halkey-Robert type valve. Looking down into the valve you will see either 8 slots or 6 slots. This tool works on the 8 slot only. 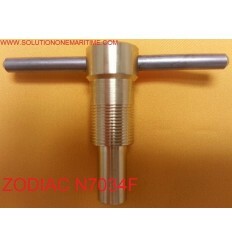 If you have a 6 slot valve please order a 6 slot tool. 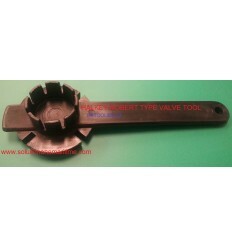 HALKEY-ROBERTS TOOL 6 SLOT HKTOOL6SLOT This toll is used to remove the 6 slot Halkey-Robert type valve. Looking down into the valve you will see either 8 slots or 6 slots. 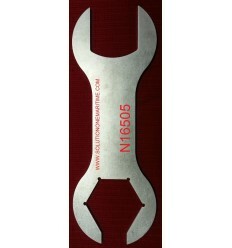 This tool works on the 6 slot only. 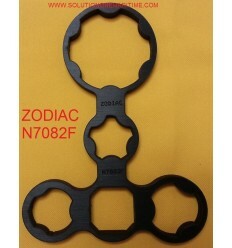 If you have a 8 slot valve please order a 8 slot tool. 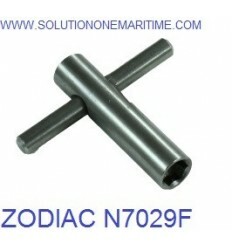 Zoduac N16506 Valve Base Tool Used to remove and install Zodiac Recreational new style valve bases. 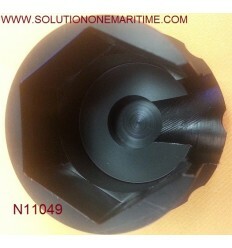 IE It removes the valve nut on the Z67092 valve body. 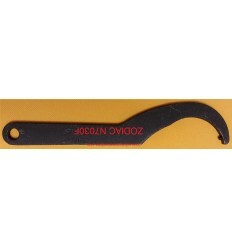 Zoduac N11049 Valve Tool Used to remove and install Zodiac Mirada type of valves. 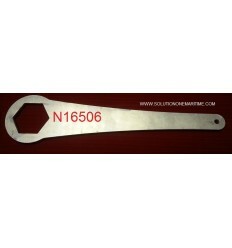 Zodiac N7082F Fly-Wheel De-Blocking Wrench Wrench used on the Zodiac 470 and other military models to remove the flywheel(the chrome part that you turn on the IC valve).